Please put down your vaseline and take note. 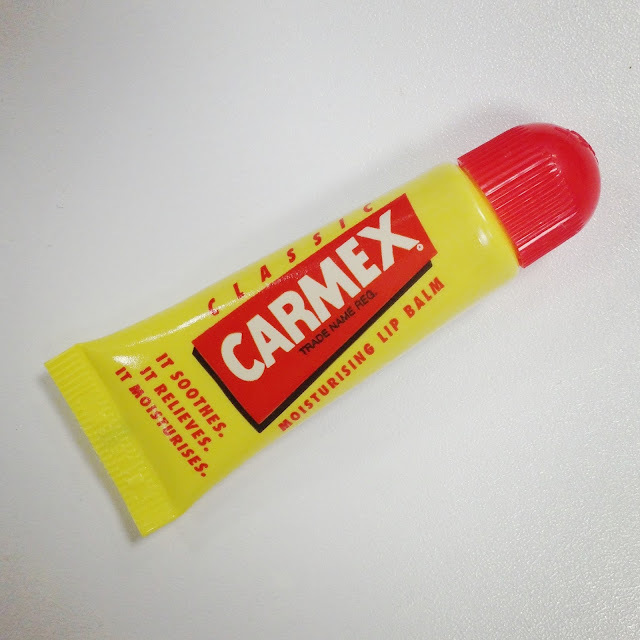 If you have never used carmex, you may need to treat yourself to a tube or tub very soon. I used vaseline for around 8 years, always applying it to my lips day and night to keep them soft. However, I was never happy with how my lips felt as they were constantly dry despite my vaseline usage. Then I was told to try Carmex and it has (ridiculous as this sounds) changed my life. When you apply it, your lips tingle for around 10 minutes, but it is a feeling I personally love as it makes me feel as though they are fixing and soothing your lips. I like to feel that a lip balm is helping to repair any dry or broken skin and with carmex you truly get this feeling. I now apply this before bed, underneath my lipsticks and generally throughout the day. I absolutely love it and I think this would be my desert island product. For about £2.50, it is worth every penny.